I am home for the holidays! I visited my mentor and friend, Jessa. 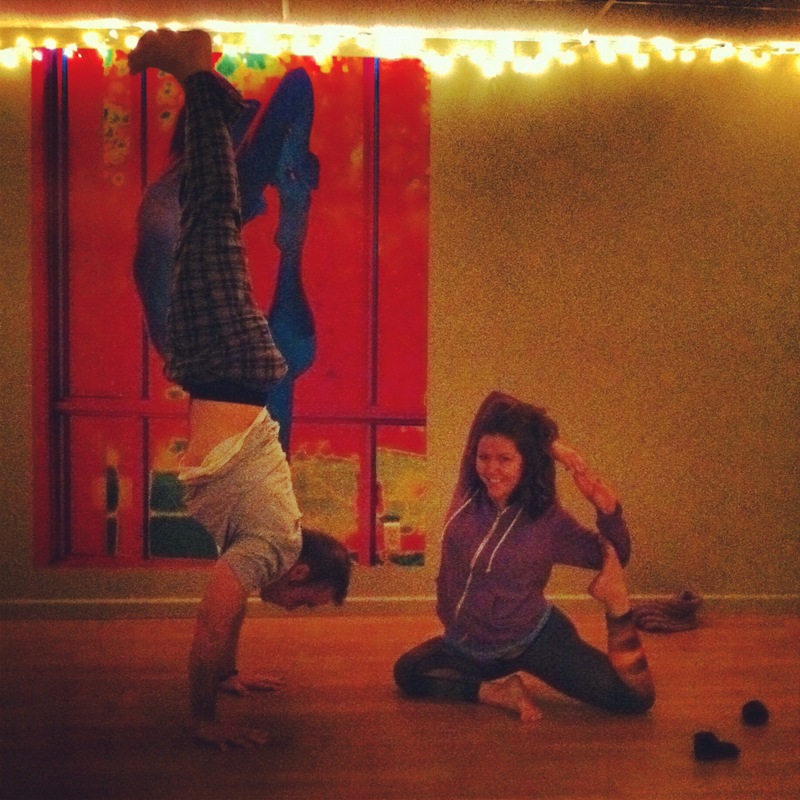 She owns Orange Sky Yoga in Manhattan, Kansas. I took her ‘United We (Hand)stand’ class. 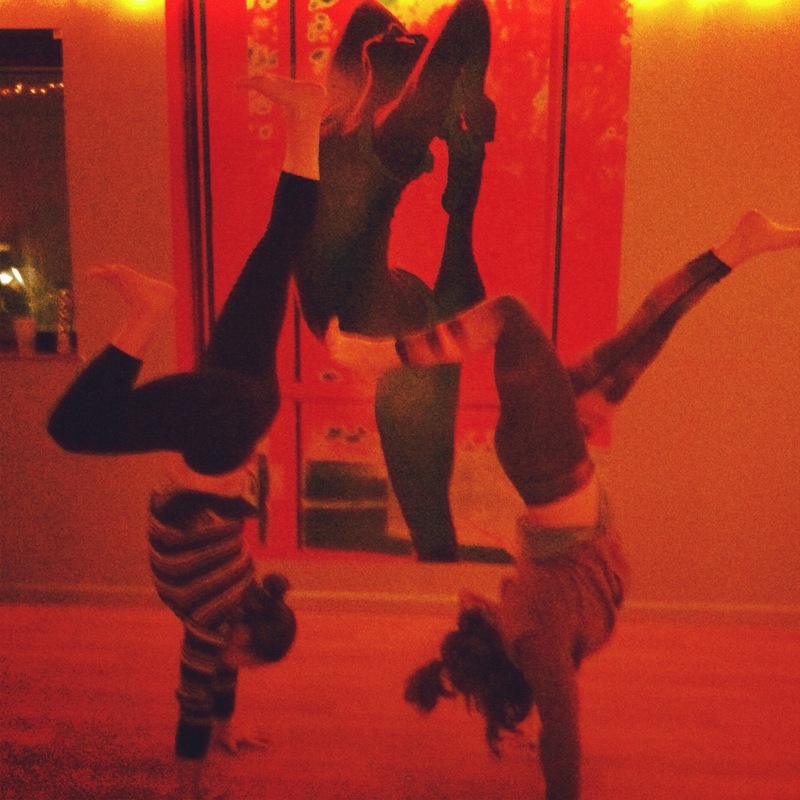 We broke down the basic principles and alignment of handstand and shoulderstand in a workshop-format 60 min class. And my friend Will was there!